The article was published in Good Audience. One of the reasons that cryptocurrencies have become popular is because they allow investors the opportunity to achieve great returns. However, cryptocurrencies are extremely volatile and the population as a whole has not been willing to accept a digital currency whose value could drastically drop within a day. It is also harder for anyone to accept a currency as a “unit.” That’s because there is no common acceptance on how much it will be worth for future use. In other words, a measuring unit, by definition, should remain stable. By definition, a stablecoin is ‘‘stable” relative to a certain fiat currency. However, with stablecoins, the Law of Supply and Demand affects their volatility. For example, when the demand for a stablecoin exceeds supply, then it pushes the price up — and if the demand decreases, the price will fall. In theory, the price of a stablecoin should remain stable without pricing fluctuations. Therefore, when the demand is stronger, stablecoins may need to create additional supply in order to suppress volatility. How do stablecoins ensure stability? There are three ways stablecoins can ensure stability: Collateralization-to-fiat, collateralization-to-crypto, or non-collateralization. Fiat-collateralization is the simplest and the easiest to understand — they are in fact IOUs. The issuer deposits fiat currency into their bank account and issue a token that’s sold to customers. Most stablecoins are based on the US Dollar, but there are also projects based on euros or SDRs (a reserve currency over the US Dollar). 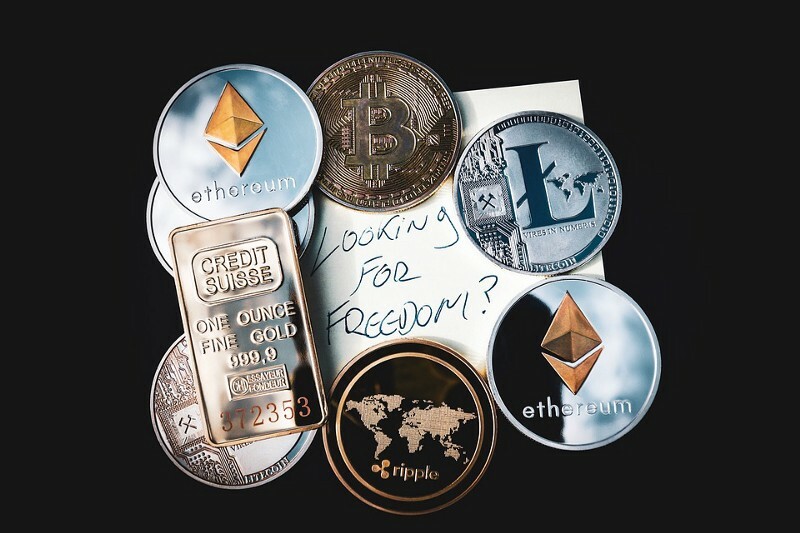 A stablecoin may also be associated with certain commodities such as gold and silver, which is then held as collateral by a trusted custodian. Crypto-collateralization is a way to avoid fiat currencies totally. Simply speaking, an investor enters collateral into the scheme via cryptocurrencies. The collateral is then backed by the stablecoin. In other words, if the demand for the stablecoin increases, the holders of the collateral benefit from issuing the new stablecoin. Likewise, if the demand decreases, the collateral holders will lose their collateral. Let’s say we deposit $200 worth of Ether and issue 100 $1 stablecoins against it. The stablecoins have now become 200% collateralized. This means that the price of Ether can drop by 25%, and our stablecoin will still be safely collateralized by $150 worth of Ether, valued at $1 each. We can then liquidate the stablecoins now, giving $100 in Ether to the owner of the stablecoin, and the remaining $50 in Ether will go back to the original depositor. But why would anyone want to lock up $200 of Ether to create a stablecoin? Well, if a depositor locks up $200 of Ether, they can choose to create $100 worth of stablecoins. If they use the 100 stablecoins to buy another $100 of Ether, they now have a leveraged position of $300 Ether — backed by $200 in collateral. Now, let’s imagine that Ether goes up 2x — the investor would now have $600 worth of stablecoins — instead of the $400 they’d otherwise make. What this really means is that the collateral holder is betting that there will be an increase in demand for that particular stablecoin — and they’re willing to take a potential risk that the value of the stablecoin won’t fall. Non-collateralized schemes avoid fiat currencies at all cost by creating a central crypto bank. The main goal of a central bank is to keep their currencies from fluctuating, by either reducing their supply or increasing it. In essence, a scheme is basically a smart contract that has two specific roles. To create new coins when the demand is higher than the supply. To buy back coins from the market if the supply is higher than the demand. In the case of creating new coins when the demand is higher than the supply, it is easy enough to understand. However, buying back coins from the market is slightly more complex and less stable. For non-collateralized schemes, buying back coins utilizes smart contracts that require additional funds (in form of ETH, BTC etc.) to buy back the stablecoin. To collect the funds, non-collateralized schemes issue ‘seigniorage shares,’ which give a right to future profits from future stablecoin increases. But, if there are not enough people to buy the seigniorage shares, then the stablecoin could start to fluctuate, meaning that an investor could suffer a loss. It’s also important to note that there are some good alternatives to stablecoins, like other financial products such as insurances and derivatives. Nowadays, there’s an increasing trend with some blockchain projects that have been founded on the idea of ‘a new standard economy,’ which provide derivatives for hedging purposes or issuing stable positions via CFDs (Contracts For Difference) on Escrow. There are many other concepts that have great potential as well but remain to be proven. That’s why it is hard to judge who the next the rising stars will be.